One of my favorite things is waking up on Saturday mornings and making a delicious breakfast! Breakfast is my favorite meal of the day and during the week I’m too busy to make a really good breakfast. Last Saturday Dan and I made a special treat! So simple, but oh so delicious – the egg sandwich. 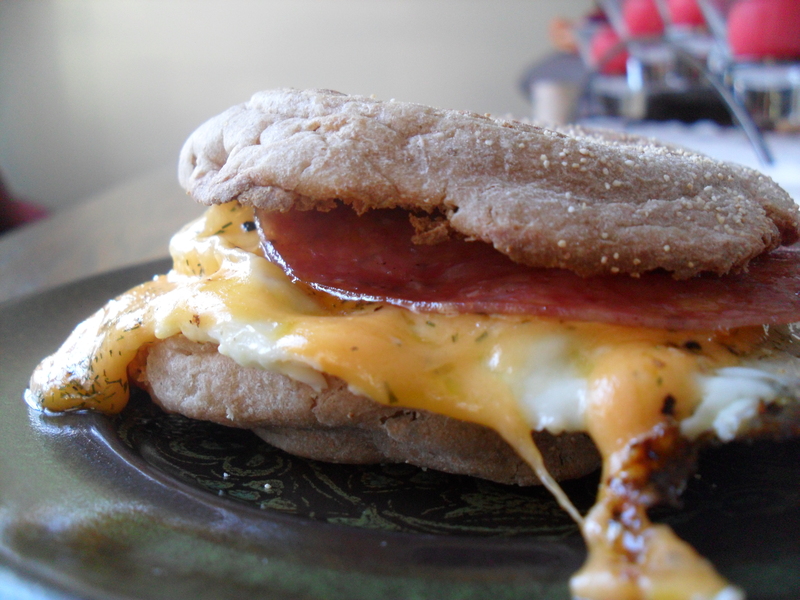 There’s nothing better than an english muffin, fried egg, cheese and meat (in this case – salami). Although it’s probably not the healthiest breakfast, it’s definitely a treat! While Dan was making the egg sandwich, I decided it to make some baked chocolate doughnuts! A couple of years ago, when I was away on a girls weekend in Lake Geneva, my good friend Maria and I each bought a doughnut pan! In her family there is a birthday tradition where on the morning of your birthday you get doughnuts. I thought it was fun tradition and would love to start in our family someday, so therefore it was essential that I bought a doughnut pan. Unfortunately, Dan didn’t fully understand this (actually, I don’t think I ever explained it to him) and just saw a doughnut pan sitting in our cupboard that we never used. He kept asking me if we should get rid of the doughnut pan, but I kept telling him that I was going to use it to make doughnuts soon. So after about two years of asking to make doughnuts, I decided last Saturday it was time! 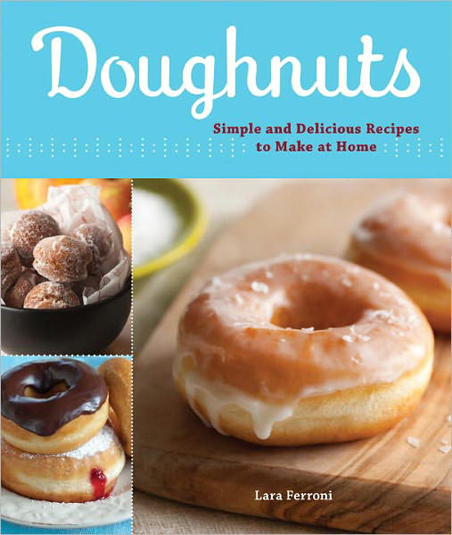 I’d made doughnuts once before using this recipe from Lara Ferroni. She also wrote a cookbook with tons of other doughnut recipes. If they’re anything like the doughnuts I made on Saturday, I’m sure they’re all delicious! 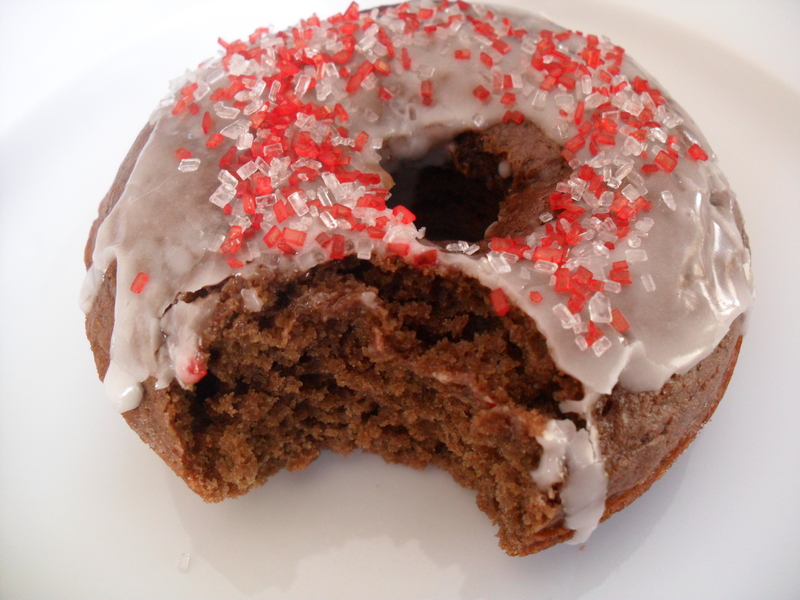 I was skeptical about the nutmeg in the recipe, but it definitely adds a great flavor to the doughnuts. 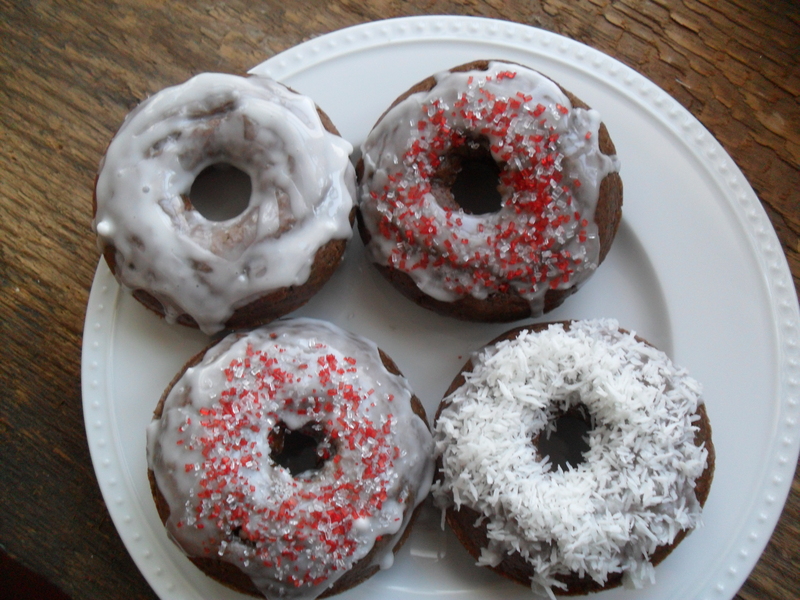 With some red sprinkles on top, these doughnuts would make a great Valentine’s day treat! Dan and I are going to a Raising Backyard Chicken workshop on Monday. I’m excited about what we are going to learn since we’re hoping to get some chicken’s this spring!